Identified by the distinctive humps over their shoulders, grizzly bears can weigh over 400 pounds with fur ranging from blond to deep brown. 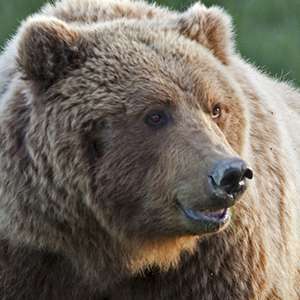 Grizzlies are omnivores, surviving primarily on grass, berries and insects and occasionally preying on larger animals or carrion. In spite of their size, grizzlies can run up to 35 miles per hour. In the summer, grizzly bears primarily spend their time in lowland meadows and valleys, occasionally roaming in forests and other areas with plentiful berry bushes. In the winter, they move into the high country to hibernate. Grizzly bears used to have abundant populations across the western United States. Now they only live in five distinct recovery areas in the lower 48 states and in Canada. The increasing presence of human development across the West has fragmented grizzly bear habitat, harming their populations and leading to declines in some of their food sources. Female grizzlies only have cubs every 2 to 4 years, making it challenging for the species to maintain healthy populations. Glacier National Park is one of the few suitable habitats large enough to support grizzly bear recovery, and officials are focused on maintaining a stable habitat within the ecosystem. 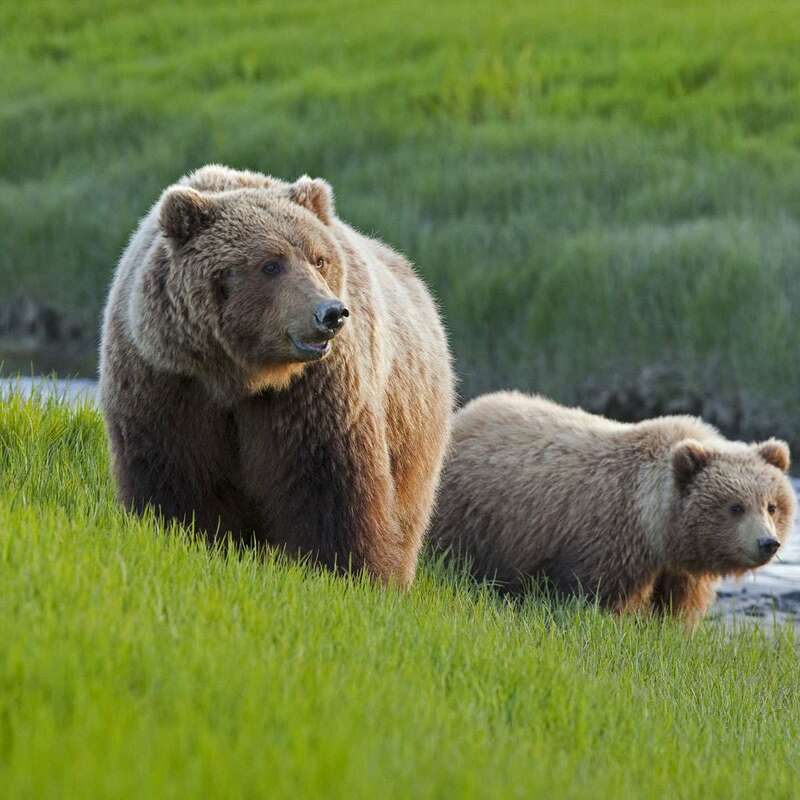 Human activities such as motorized vehicle use, development of recreation sites and introduction of livestock are being monitored as they can modify grizzly habitat.